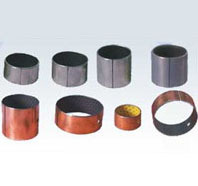 DX & DU (Dry Bushing And Washers), DX is a quality material which is used for applications of dry lubrication and is used in textile machineries, induction furnace, and so on. We use DX to manufacture top class dry bushes and washers. Mainly used in automotive industry, these products possess features of high dimensional accuracy, high tensile strength, easy to install, and ability to resist high temperature and pressures. 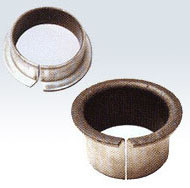 We manufacture and export the high class DU Dry Bushes Metric Range in various sizes and dimensions. These products are known for their dimensional accuracy, high tensile strength, and ability to withstand high temperatures & pressures. These bushes are mainly used in automotive industry. We can also custom produce the product, as per the drawings/samples provided by our clients. Note: Kindly download the standard dimension chart. Dry Bushes, The products (DU (dry Bushes And Washers)) are impregnated with steel backed bronze and are used for high load applications with pressure up to 250 N/mm2 and temperature up to +280oC. 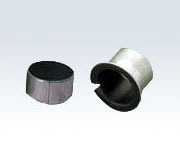 These dry bushes and washers possess high strength and strong mechanical bond to impregnate PTEE/LEAD mixtures. 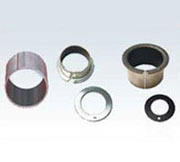 These are used in various applications including dry lubrication, textile industry, induction furnace and many more. We can custom manufacture DU dry bushes and washers as per the drawings, samples, or part number provided by our clients. Note: Kindly download the standand dimension chart. We carry a huge range of DU flanged bushes that are used in metallurgical industry, concrete machinery, continuous casting, special conveyors, rolling mill, and much more. These bushes possess the features of self-lubricating, low-friction, and anti-abrasion. The product is applied to metallurgical industry continuous casting and rolling mill, concrete machinery and special conveyors, etc. Our clients can obtain these bushes in their choice of sizes by providing us with their drawing/sample or the quantity required per consignment.